Your heater and air conditioner provide you and your family with the comfort and security that you expect and deserve within your home. Keeping your HVAC system well maintained requires a great deal of knowledge, training, and experience. At Precision HVAC, our Catskill heating and air conditioning contractors are here to help you with this responsibility. We proudly serve both residential and commercial property owners. With our help, your HVAC system will always provide for your needs in the most efficient and effective manner possible. We value our customers and always work our hardest to provide for their needs in the most customized manner possible. Whether we are installing, repairing, or replacing your heater or air conditioner, our technicians will bring the same level of dedication to the project. Your satisfaction will be our highest priority. Call Precision HVAC today if you need to hire a professionally licensed heating and air conditioning contractor in Catskill. We are ready and eager to assist you in any way that we can. Our knowledgeable staff can answer any of your questions and can schedule your appointment today. When you need to install or replace a heater or air conditioner, it is vitally important for you to hire a professional for help. 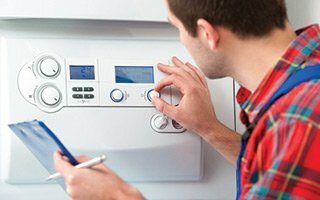 Choosing the right system for your home is essential. Installing it precisely is doubly so. When you hire our team for the task, you can feel confident knowing that you are maximizing the value of your investment. After our experts personally inspect your property, we can help you select the heater or air conditioner that is most customized to your needs. After we expertly install it, your HVAC system will perform at optimal levels. Here are just a few of the manufacturers that we routinely work with. If you need to hire a professionally licensed heating and air conditioning contractor in Catskill, call Precision HVAC today at 845-399-0669, or fill out our online request form.